My new favorite model, Aymeline, in my favorite type of look: simple, unfussy, effortless and a tad preppy. slightly masculine too. i dig it. i love this, and i love your blog! terrifc style. 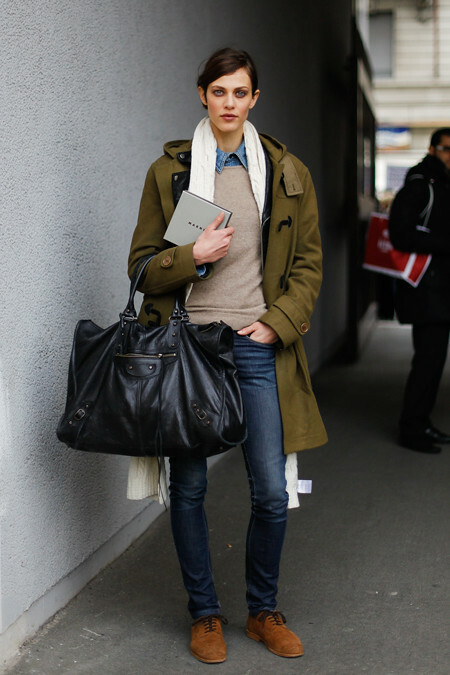 the collared denim shirt, the brogues, and military green jacket, perfect elements together.